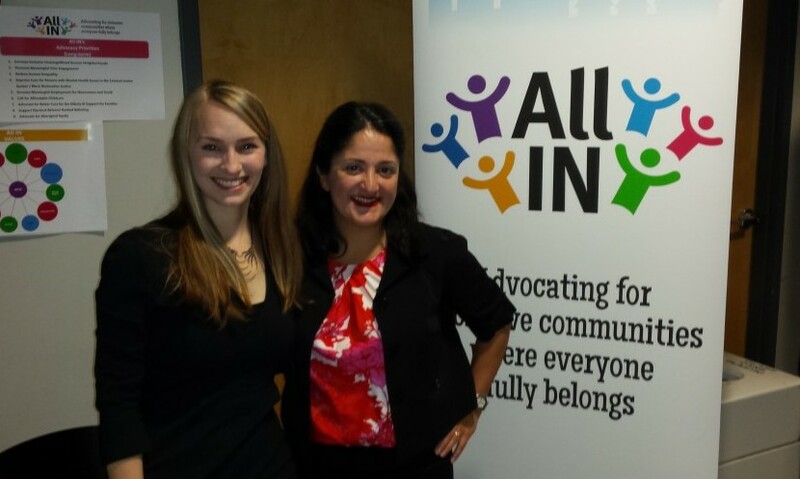 All IN will be one of 104 organizations participating in this year’s YIMBY festival at Ryerson University. The annual YIMBY Festival provides an inclusive space for people and groups involved in grassroots community development to gather; exchange ideas, skills and strategies; and collectively imagine our future city. Founded in 2006, YIMBY promotes the role of community groups as an integral force for positive and sustainable change in Toronto. The event is open to the public, so please do come, chat with us, and check out other organizations doing great work to improve our city. Find out more about the YIMBY festival.